Myth: networking is only for people who know exactly what they want to do. Fact: networking is a great way to learn about career possibilities and find the right fit for you! There are more than 1,400 alumni (and counting!) 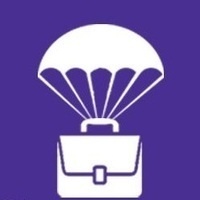 who just joined the new Kenyon Career Network (KCN) and are ready to help you find your next step. This workshop will introduce you to the KCN and LinkedIn and teach you how you can use them to explore career options, get advice, or even find a job or internship.